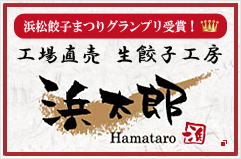 Hamataro, Toa directly-managed dumpling shop, is famous for its delicious dumplings. Contributes added value to gyoza-making by taking safety and hygiene to new heights. It is the first gyoza-making machine that adopted safety and hygiene ideas in the industry. Incorporates the first safety/hygiene design concept in the industry, and best suitable for customers’ seeking distinction in the manufacture of uncooked gyoza. Toa Industry and its Gyoza shop "Hamataro" was introduced by TV Shizuoka (Fuji Television Group) in the program of "Teppen Shizuoka". Toa products were introduced by TV Tokyo in the economic program of "World Business Satellite". Toa products were introduced by TBS(Tokyo Broadcasting System Television) in the program of "N SUTA(Studio)". Toa Industry was introduced by TV Tokyo Network in the program of "Buramari's Itadaki". Toa was introduced by Television Aichi (TV Tokyo Network) "Tan Q Shizuoka" program. Toa was introduced by NHK World program of "Asia Biz Forecast". TV Tokyo Network economic documentary program "FUTURE CENTURY ZIPANGU". Nippon Television Network morning program "Sukkiri" introduced Toa Industry. Fuji Television morning program "Tokudane" introduced Toa Industry. NHK program "Tappuri Shizuoka" - Seize the market needs.